﻿ Sun City Automotive's Team of NAPA® ASE® Certified Auto Repair Technicians. Technicians at Sun City Automotive's Auto Repair have access to the most extensive training in the automotive industry. Furthermore, we employ ASE®-certified technicians for all areas of work performed. To find out more about ASE® certification, click on the ASE® Logo. ASE® - The National Institute for Automotive Service Excellence. Founded in 1972, ASE® has a single mission: To improve the quality of automotive service and repair through the voluntary testing and certification of automotive technicians. Chuck has always had a love for vehicles. Starting in the early nineties he spent most of his free time in the garage working on his and his friends cars. His mom always laughed at the time he put an engine together her in her living room! He worked different jobs, all related to vehicles and repairs, working his way from an oil changer at a quick lube franchise to a senior technician at an independent repair facility. In 2009 Chuck had an opportunity to purchase what is now know as Sun City Automotive and the rest they say, is history. 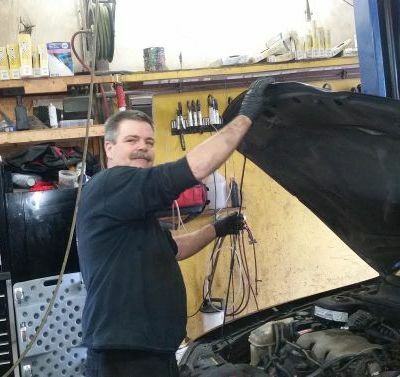 Chuck is still as passionate today about vehicle repair as the day he first held a wrench. You can be assured you are in good and experienced hands when you come to Sun City Automotive. 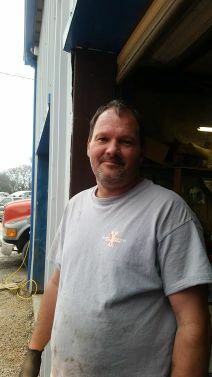 Chris has over 20 years of experience and has been with the Sun City team for 5 years now. While Chris can work on any type of vehicle he prefers to work on the older model vehicles. His love for cars started way back in high school and he soon made a career out of it. When he is not working at the shop you can find him working on his ‘project car” a 1969 Chevy Nova. 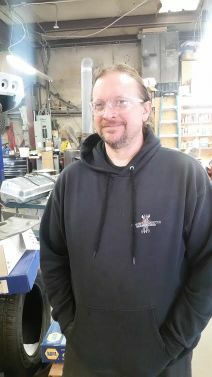 He has over 2 decades of automotive repair experience and returned to school to finish his degree in automotive engineering in 2006. Although Sam can work on all makes and models of vehicles he specializes in BMWs, Mercedes, and Audi. 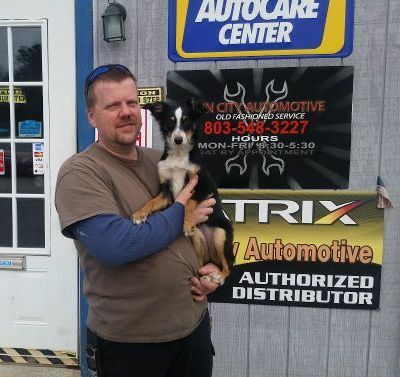 Jim joined the Sun City Automotive team in 2015 and has a background in mostly GM vehicles. He worked for a dealership prior to joining Sun City Automotive and we welcome his 30+ years experience! Austin is the son of the owner and basically grew up around cars and the shop. He worked part time in high school and decided to make a career of it when he graduated. 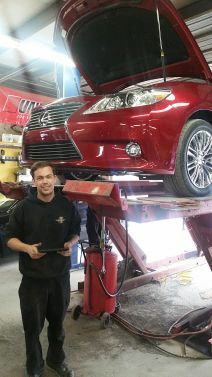 Austin is currently a Junior Technician and learning a lot from the seasoned technicians here. Lexi (the dog) joined the Sun City team in October 19th, 2016. While Lexi is not mechanically inclined she does love her job. 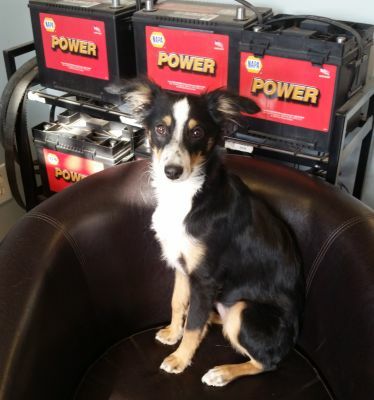 She is the official greeter at Sun City Automotive. Her hobbies include chasing sticks, sleeping, and getting belly rubs. 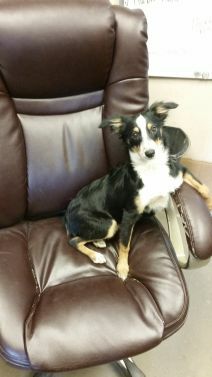 Lexi is found most days napping in a sunny spot in the front office or in a comfy chair. “That girl in the office” I think we all know Sandy runs things around here! Just kidding~ but she is the one who typically makes your appointments, responds to your emails, and drives you home while a vehicle is being repaired.